Monday will herald The Third Annual SmallSat Symposium where folks can learn from the more than 80 speakers/specialists from around the world in presentations and events from February 5-8. All the work and 'heavy lifting' has been done with nothing left for you to do except show up for the SmallSat Symposium. Because your time is valuable you must determine where you will appreciate the most efficient return on investment, and judging by the surveys at the conclusion of last year's event, this symposium is the best use of your time and energy. Here you are not just an attendee, you are an active participant with access to the industry's experts. Founded in 1983 in the San Francisco Bay Area, Satnews is a leading provider of satellite events, news, publications, research and other satellite industry information in both commercial and military enterprises worldwide including the Satellite Innovation Symposium — and the SmallSat Symposium presented in the heart of Silicon Valley at the Computer History Museum. You can register here. Earth Observation and Remote Sensing – What is the Market? How NASA, Government, Universities and Research Institutes work with Industry. Dr. Hans Koenigsmann leads the Build and Flight Reliability Team at SpaceX. In this role he is the executive leader of SpaceX’s quality engineering and process development teams and, oversees the launch readiness process during launch campaigns. He provides an independent assessment of launch risks, identifying and resolving anomalies during integration and launch itself. The Reliability teams resolve all major anomalies, evaluate and mitigate risk and perform hazard analyses and other functions on the vehicle system level. He has more than 25 years of experience designing, developing and building complex avionics and guidance, navigation and control (GNC) systems for launch vehicles and satellites. 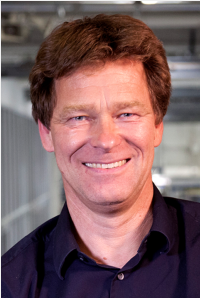 As a member of SpaceX from the company’s inception in 2002, Hans built up the avionics, software and GNC departments and developed the launch readiness process currently in use during each launch campaign. He also designed the SpaceX risk mitigation process and initiated the risk database, establishing a similar process for system-level changes to the vehicle and ground systems. Dr. Koenigsmann was the Chief Avionics Architect of the Falcon 1 and early Falcon 9 efforts, and he is a key member of the small, core group of SpaceX engineers responsible for operating these vehicles on the launch pad and in orbit. He served as Launch Chief Engineer for the last 3 Falcon 1 missions and for most Falcon 9 flights to date. 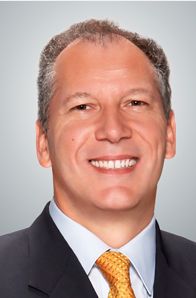 Mr. Dario Zamarian is Group President of SSL, a leading provider of innovative satellites and spacecraft systems. In this role, he is responsible for all of the markets for spacecraft systems that the company serves, including communications, remote sensing, scientific exploration, and U.S. Government Systems. With an execution track record that spans Fortune 100 companies, Private-Equity firms, and VC-backed start-ups, Mr. Zamarian brings a wealth of experience in leading transformative growth and strategic leadership to SSL, where he works closely with the senior executive team to support the needs of satellite operators around the world and drive growth into new markets. To be held from 4:30 PM to 6:00 PM at Cucina Venti Restaurant, 1390 Pear Avenue #Suite D, Mountain View, CA 94043. Join women in aerospace for a networking happy hour at Cucina Venti, just across the street from the Computer History Museum. Thanks to the sponsor, Bessemer Ventures for providing refreshments. All genders welcome. 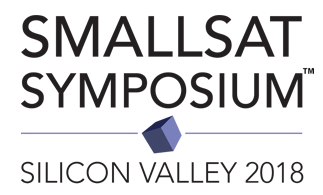 You will appreciate the variety and concentration of workshops, speakers, and attendees that are sure to make the Third Annual SmallSat Symposium an event you anticipate and automatically add to your calendar each year.